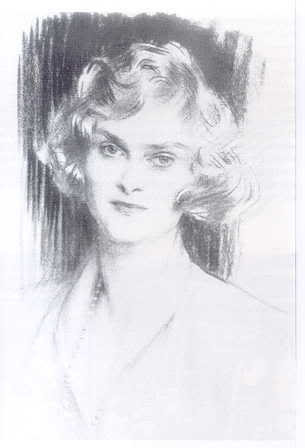 The heartbreaking tale of Lady Rosemary Leveson-Gower, ( 1893-1930), a Society beauty, the daughter of a Scottish Duke, who dazzled Edward, Prince of Wales before Freda Dudley Ward and Wallis Simpson, his better known mistresses. The Prince’s family scoffed at Rosemary’s chequered family pedigree and dismissed the love-weary Prince’s designs, leaving Rosemary, a heroic Red Cross nurse during the Great War, to be swept into marriage by Eric, Viscount Ednam, a soldier and Later and MP and close friend of Edward, and heir to an ancient English Earldom. The Ednams became a dynamic couple of the Bright Young Things era of the 1920s, but in July, 1930 at the peak of their chaotic life together, Rosemary met her sudden death in a horrific aeroplane crash, which also killed three of her fellow aristocrats. The cause of the crash still remains a mystery. The Prince of Wales was supposed to have been on the same flight, but changed his plans at the last minute. A largely untold Society tale that raises disturbing issues, even now, over eighty years later.